Mazda’s is committed to delivering true driving pleasure with every model, earning their cars a prized position in the affections of their customers and enriching their motoring lives. This motivates the company to continually defy convention and push the boundaries, building cars that match its unique vision. 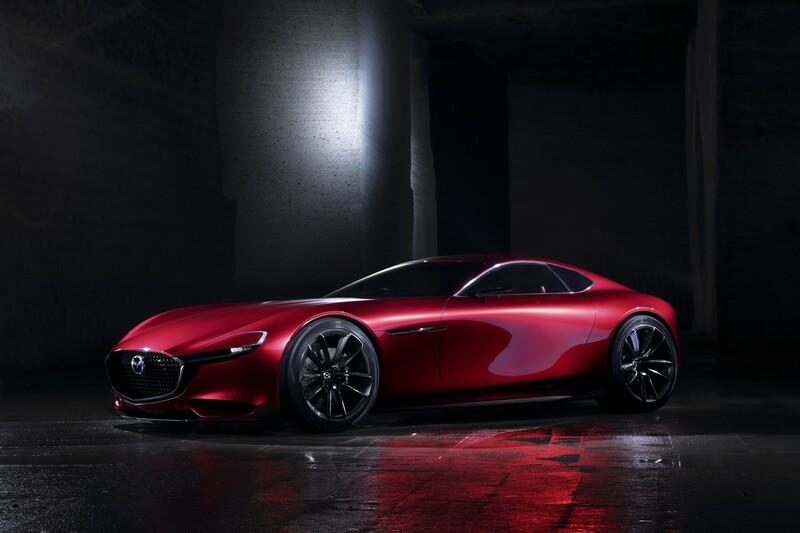 Mazda is the only carmaker in the world to successfully bring to market and mass-produce the rotary engine. 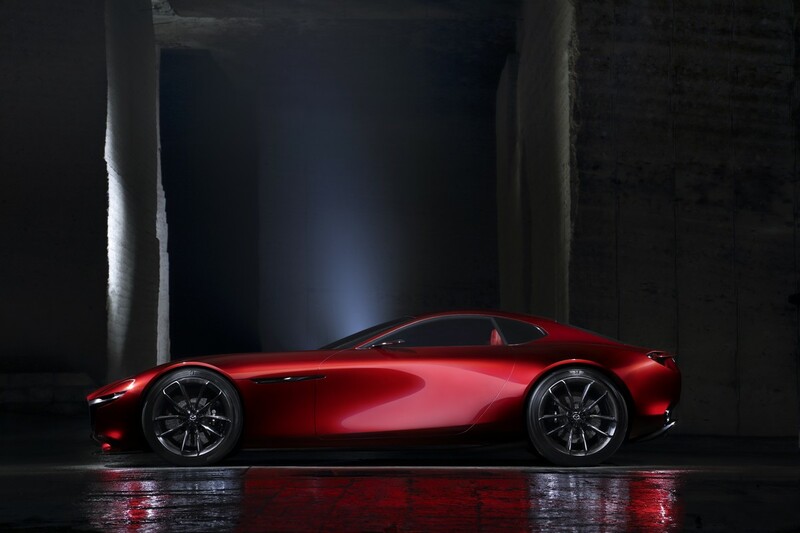 It is a symbol of the company’s tirelessly challenging spirit and, as the soul of the Mazda brand, represents the unique and innovative technology that helped establish the brand and create a solid bond between Mazda and its customers. That is why, even though there are no rotary-powered cars in the current product line-up, rotary engine research and development continues today. 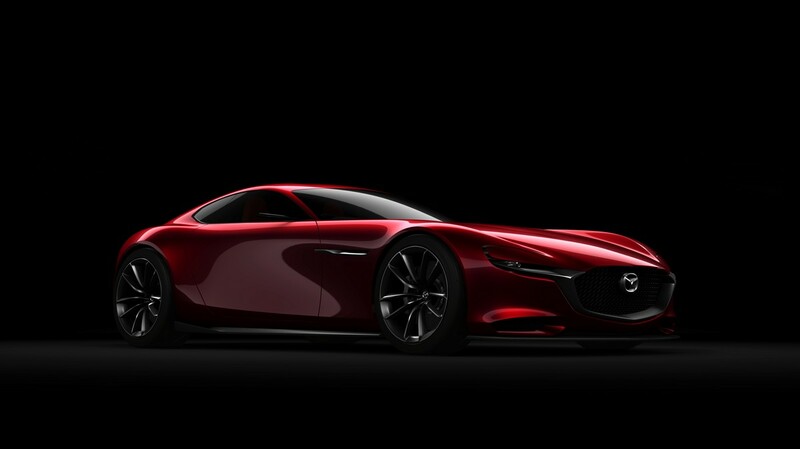 The RX-VISION adopts the beautiful proportions of a front-engined, rear drive sports car such as could only be envisioned by the principles of Mazda's KODO design philosophy. 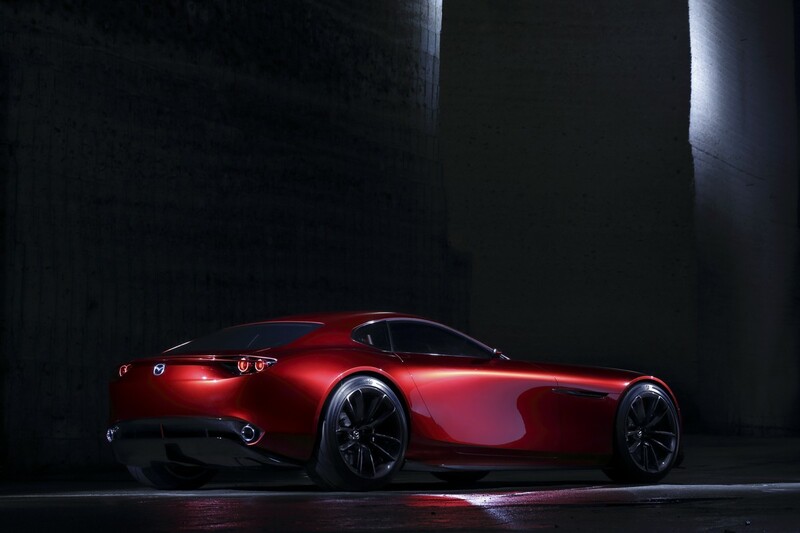 The styling is modern but maintains a sense of lineage and authenticity, encapsulating Mazda’s entire history of sports car design. The design aim was to shave away all but the essentials, giving birth to the dynamic tension and ambience of a machine that is all business. The fine craftsmanship of Mazda’s renowned clay modelers have created reflections that convey motion, thereby capturing the spirit of the KODO design language without relying on character lines or other such elements. This is an elegant and highly vital form that subtly changes its appearance with even the slightest change of viewing angle. 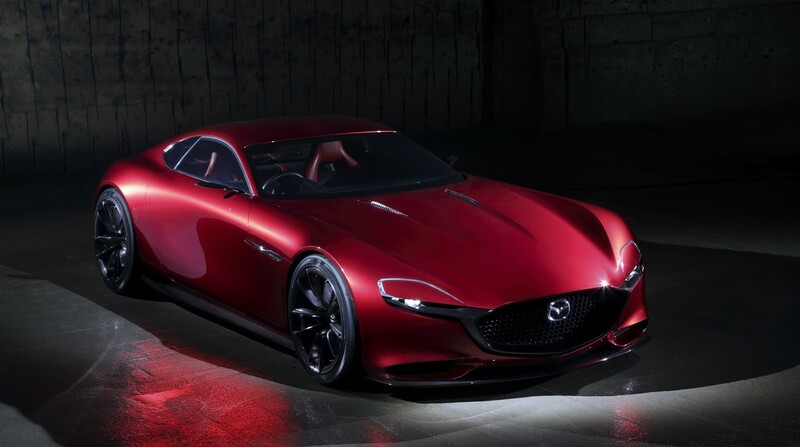 Weaving specific design motifs that reflect the history of Mazda sports cars into the styling of the RX-VISION reinforces the company’s unchanging passion for the sports car. A unique red body color features both energetic brightness and depth, highlighting the luster and contrast between light and shadow that encapsulates the RX-VISION design. 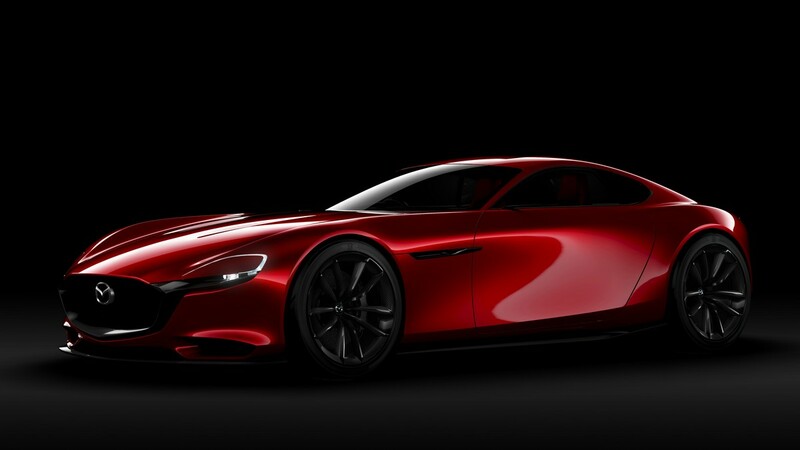 Committed to the creation of the ideal internal combustion engine, Mazda returned to the drawing board and built the SKYACTIV-G gasoline engine and SKYACTIV-D diesel engine from scratch. 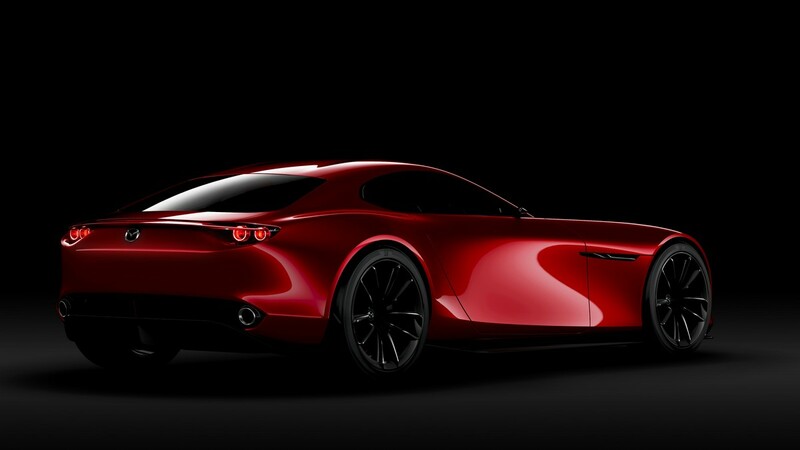 Despite production of the RX-8 ceasing in 2012, Mazda's research and development programmes to further evolve the rotary engine have continued uninterrupted. 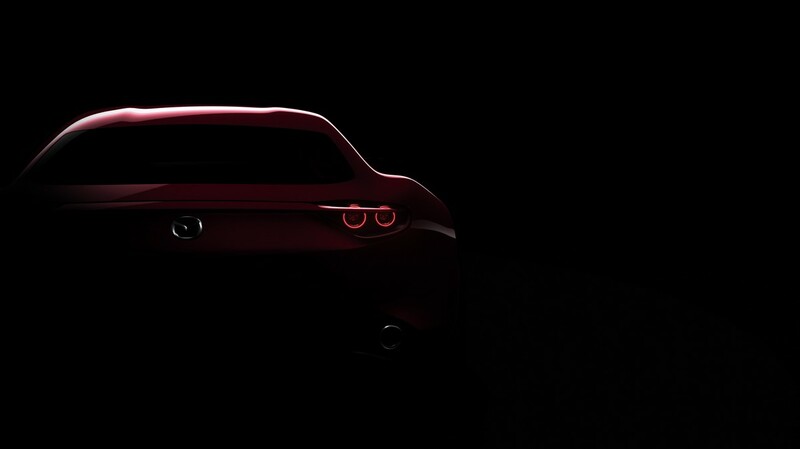 Reflecting the company’s ongoing resolve to apply the most advanced engineering and the same high aspirations that yielded SKYACTIV technology, this next-generation unit has been christened SKYACTIV-R. 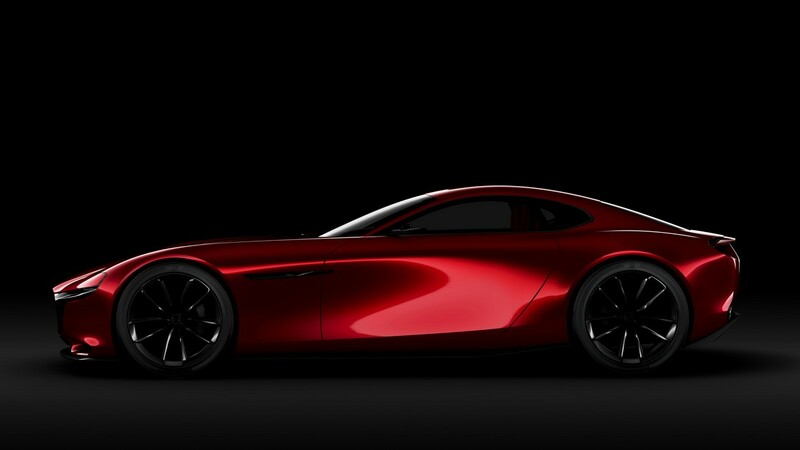 It represents Mazda's next significant step towards achieving a breakthrough in addressing three key rotary engine issues - fuel economy, emissions performance and reliability. 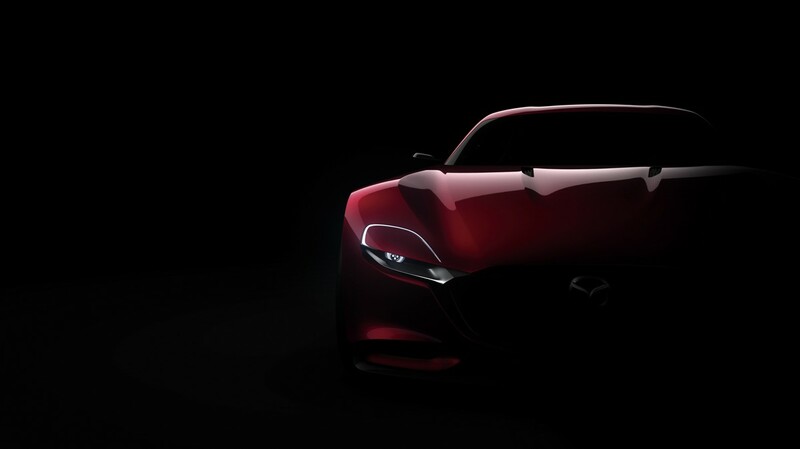 Mazda will never stop challenging to deliver new rotary engines that provide its unique brand of driving pleasure.